Join Harry on his incredible adventures through the portal in his Granddad’s Bible. Mud is great! Harry loves the mud in his garden, especially making clay pots out of the reddish mud. So when Harry dives into his Grandfathers’ Bible and see’s Jesus smearing mud on a blind man’s eyes, Harry is amazed at what happens next. After his pet woodlouse has a near death experience, Harry begins to think about death. So when he meets Martha and Mary he decides to pray with them for Lazarus and then sees Jesus do something miraculous! Harry's Hideout - Glorious Mud and Minibeasts by Rebecca Parkinson was published by CWR in June 2013 and is our 10336th best seller. 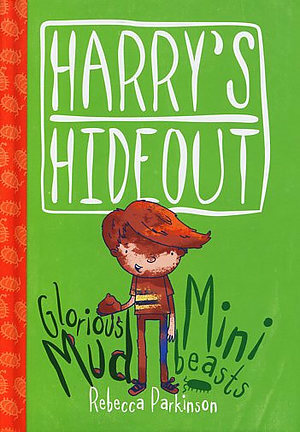 The ISBN for Harry's Hideout - Glorious Mud and Minibeasts is 9781853459894. Be the first to review Harry's Hideout - Glorious Mud and Minibeasts! Got a question? No problem! Just click here to ask us about Harry's Hideout - Glorious Mud and Minibeasts. Harry loves the Hideout that he built with his Grandad. In it, he keeps the very special book that Grandad gave him to help him to learn about the Person who made the whole world. But it's not just any book - it's a portal to Bible times. In Glorious Mud, Harry has a great time making pots from the clay that he finds in his garden. 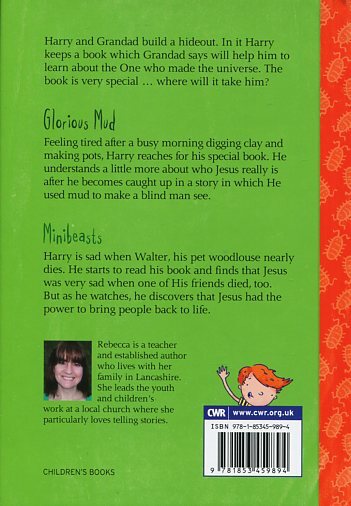 Then, after travelling back to Bible times, Harry discovers how Jesus used mud made to make a blind man see. In Minibeasts, Harry is distraught when he finds Walter, a pet woodlouse, near death. His excitement when it revives is reflected in Mary and Martha, as Harry is transported to Bible times and sees Jesus raising Lazarus from the dead. Ideal for children ages 4 - 8.